I hope you don't think I'm being pompous by saying that I could have written this book. About a year ago, at age 51, I decided to work with a Crossfit trainer to get stronger so that I could keep running the rest of my life. She worked my muscles, while I was in charge of my running. This year was incredible for me. 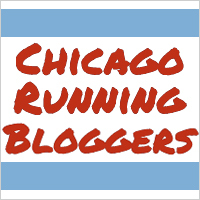 I ran 2 half marathons, a 10 miler, placed 2d in my AG at a local 10k, and ran the Chicago Marathon with a 1h10min PR. Even though I was injured in the spring, and spent 4 weeks in the boot, I kept on cross training with my trainer and on the bike, with the hope of maintaining fitness and being able to jump right back in where I left off. And I did! This was the year that I finally felt comfortable with the fact that I'm in my 50s. I am running as fast as I was in my 30s. This was truly my fittest year. So I was drawn to Webb's book--because yes, her goal, at age 51, was to have her "fittest year". A lifelong runner, she wanted to shake off her midlife malaise and regain the level of fitness she enjoyed in her 20s as a collegiate runner. Her race goal? To place in the top 10 for the half marathon at the World Masters Games. 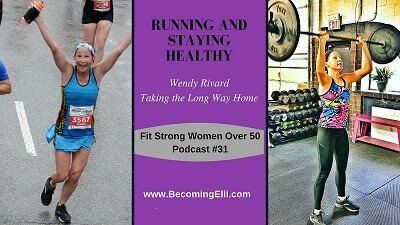 Along the way, she consulted with experts and legends in womens' running, using this information to crush much of the so-called wisdom about aging athletes. "The difference between the front and the back of the pack tends to widen in older age groups, and often the vastly superior winners of older age-groups ran fast enough to be competitive in age groups younger than their own--clearly able to maintain their incredible speed through training, talent, or some other means of resistance to aging." This is something I've noticed at races as I've moved into the 50-54 age group. The women at the top of the leaderboard are still amazingly fast. At first I was shocked at how fast some women my age are. I can't help but wonder why? Is it genetics? Training? Diet? Webb tries to sort some of this out. She talks about the importance of sleep and diet in the older athlete. While younger athletes can skip a night of sleep and still run well, can feast on junk food and not have it affect performance, the same does not hold true for the older athlete. I also liked her information on carb loading, which essentially is bad advice for female endurance athletes. Apparently, we don't burn fuel like men do. Interesting! And she also stresses the importance of cross training, including yoga, which is so good for runners. The iron nun, Sister Madonna Buder, age 83, one of the women featured in the book. 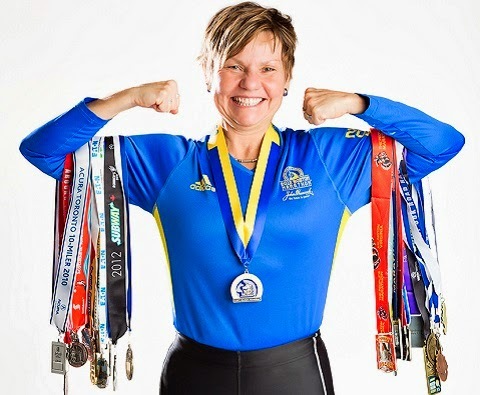 She has completed 300 triathlons and 45 Ironmans since taking up running at age 48! 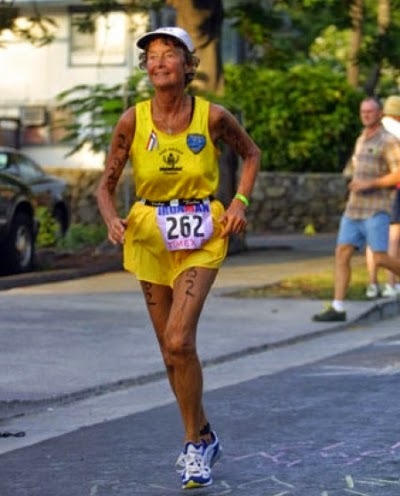 She qualified for Boston with her first marathon at age 52. What's your excuse? There's a lot of detail in the book, and keep in mind that this book is really for running junkies and women looking to maintain or maximize their fitness as the years march on. "A lot of research now shows that training--aerobic, anaerobic, and strength--has effects on the human body at any age. At any age, you can improve the human body. Exercise can literally keep you young. " Now this is good news!! 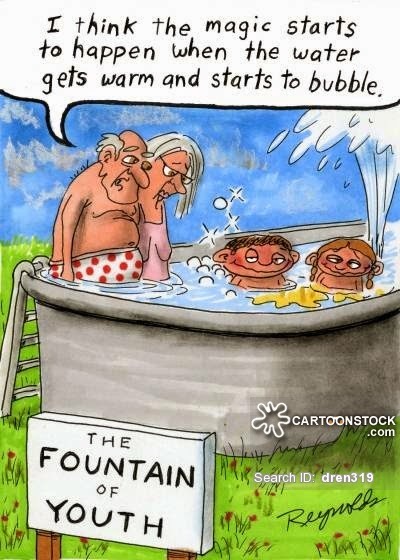 Apparently all this exercise causes the release of growth hormone--which, used extrinsically, is a banned substance--and that may very well be the fountain of youth. Hey, works for me! "fun, stronger, faster, and fearless"
And while I won't share the outcome of her race in this review, I can attest to the power of positive thinking and the use of mantras during a race. 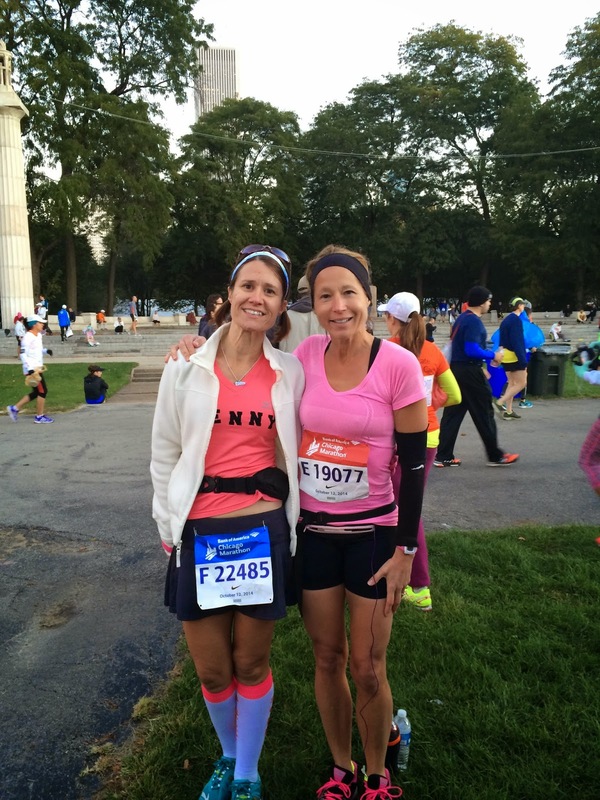 During my Chicago marathon, I pulled out my mantra a few times: "I can and I will! ", as well as listening to music with motivating lyrics. I still smile to myself when Rage Against the Machine's Killing in the Name Of comes on during a run. That song reminds me of how hard I pushed those last 3 miles of the marathon, when my hamstrings wanted to quit but the song's lyrics--"f-no, I won't do what you told me"--kept repeating themselves over and over like a mantra...that and Becky's threat of having to do 10 burpees with every negative thought...I LOL'd every.damn.time. "For women, this prerace hug fest may be a potent secret weapon, as social bonding can release the hormone oxytocin, which has been credited with reducing fear, anxiety, and even inflammation"
I completely agree with this--on marathon day, I met some women on the train ride down to the starting line, my friend Penny found me before the race and hugged me (sending loads of oxytocin flowing through my veins), and my medical assistant Zuly was at mile 14 with more hugs that sent me zipping along the course. Penny and me pre marathon. Oxytocin for all! "But an important lesson I have learned from my running career: While we can't control the outcome of a race, we can control the effort we put into it, and its important to celebrate that effort, and to celebrate ourselves." 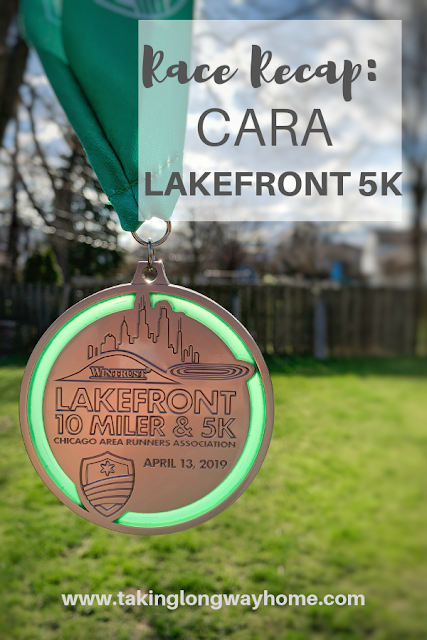 Even a race that we don't do well at--for example, my Zooma half marathon--was a favorite for me because I knew I did the best I could and the sisterhood of my friends and the woman who got me across the finish line made it a memorable experience. This is an amazing book. Some of the reviewers on amazon.com did not like this book. They were looking for a weight loss book, a guide for beginning runners. This is not that book. There are plenty of books for that audience. This is a book for women endurance athletes who are looking for encouragement and guidance about running the rest of their lives. Webb nailed it, in my opinion. The book is well written and easy to read. 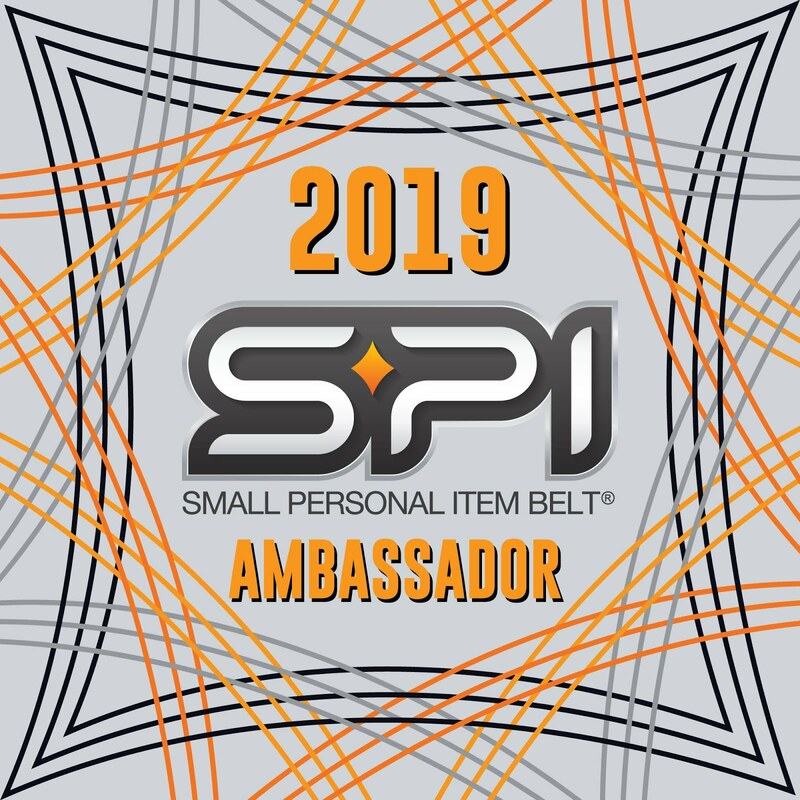 Really, for me, I felt like I was talking to a friend about running. And thanks to Margaret Webb for helping me believe that for me, as a runner, the best is yet to come! 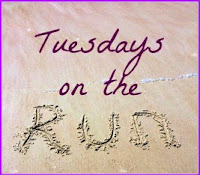 I'm linking this blog post up with Tuesdays on the Run: MCM mama runs, Run the Great Wide Somewhere, and My No Guilt Life. Go see what inspires everyone else! I'm almost finished & I'm glad I just got it out of the library. I found it to be pretty dry & both too much & not enough detail. I don't seem to get faster & I strength train & do yoga & do speed work - all the stuff you're supposed to do. It's very frustrating. Her story or personality just didn't grab me & I really didn't learn much. Just my $.02. Have you considered working with a coach? I did all the stuff the author recommended too, but clearly I wasn't targeting the right muscles to make me move faster. But I wasn't doing it right... My experience this year has been really interesting and fun for me. This book validated that. I'm sorry your experience has been different. 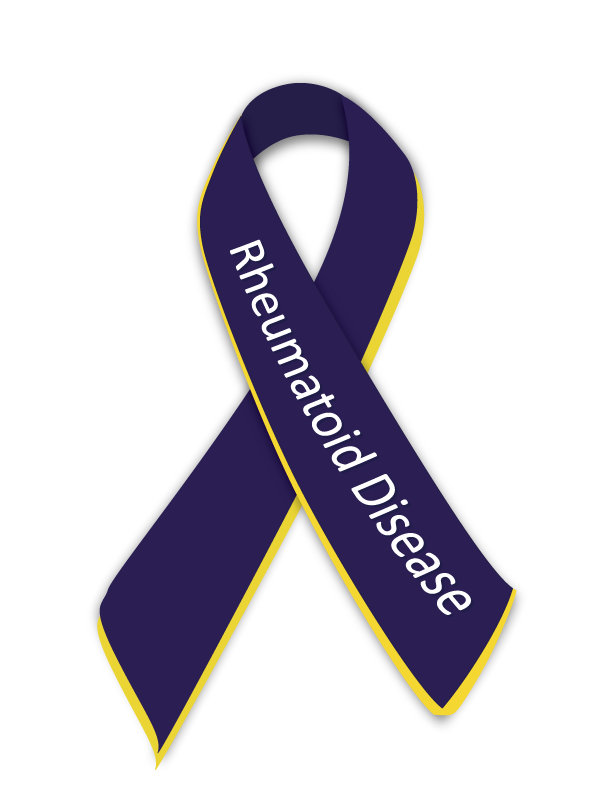 I did weight lifting for 4 months when I was I injured and it didn't make me faster because I had to start over again with my running, BUT it made me a stronger runner. I got injured again running TOO much but when I was running every day, I did get faster. For me, the only way I can get faster is to simply run more and I really have to push myself. When I push myself I have this fear of getting hurt again. I have done very little strength training and I did not get tired out there running my 10 miler yesterday. I wasn't tired at all and the weather was warmer which usually zaps me. Fear is what is holding me back the most. Plain ole fear. I've read a lot about training, and there are those who believe that to get faster, you have to run more. Others believe that strength training makes a faster runner. I think you have to do what works for you. 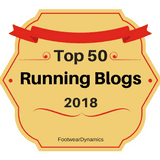 As an older runner, I know I have to run less. So far, so good! Thanks! This book really resonated with me. And gave me hope to keep running strong as I age! Love this post!!! I will have to check out her book. I will definitely check this out. Interesting how the reviews are mixed. I think I told you this lady was speaking at the summit. Honestly I think we're all an experiment of one. We have different amounts of fast and slow twitch muscles so we respond to training differently. 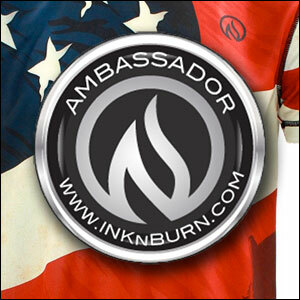 The key is finding what works for you and more importantly, what you enjoy enough to make part of your lifestyle. I think that with your background, you'll find a lot to like about this book. 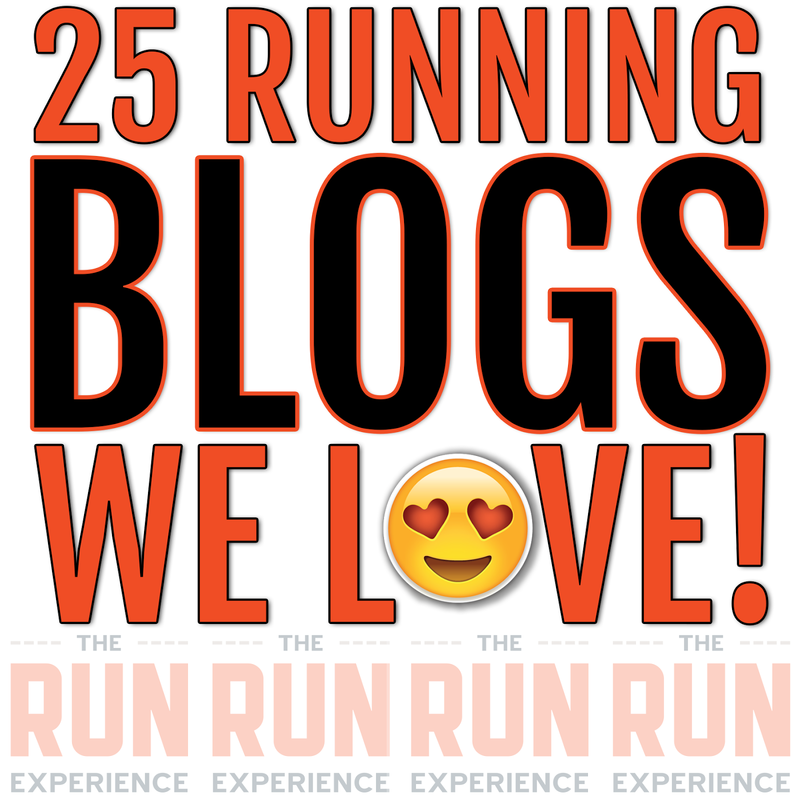 I do agree with you, there is no one size fits all about this crazy running thing. I definitely plan to read this book. At 61, I am older, faster and stronger than ever. Hoping 60 is the new 30. I sure hope it is too! The book is really encouraging. I think our best years are ahead! 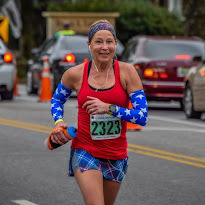 It's so motivating to know that many women get faster and fitter as they get older...As I have already started to fall apart at 30 I know that I need to be smart if I want to continue running for many more decades. Haha! Fall apart at 30...you're not falling apart at all! You're right, you just have to be smart about your training. That's what I'm trying to do now. There are so many great inspirational and helpful books out there. Thanks for the suggestion! Sounds like you got a lot out of this book! I started it, but found it hard to get engaged. Maybe I'll pick it up again this summer. Maybe her pants were on fire?